You invite a friend to church because you are excited about a new sermon series. 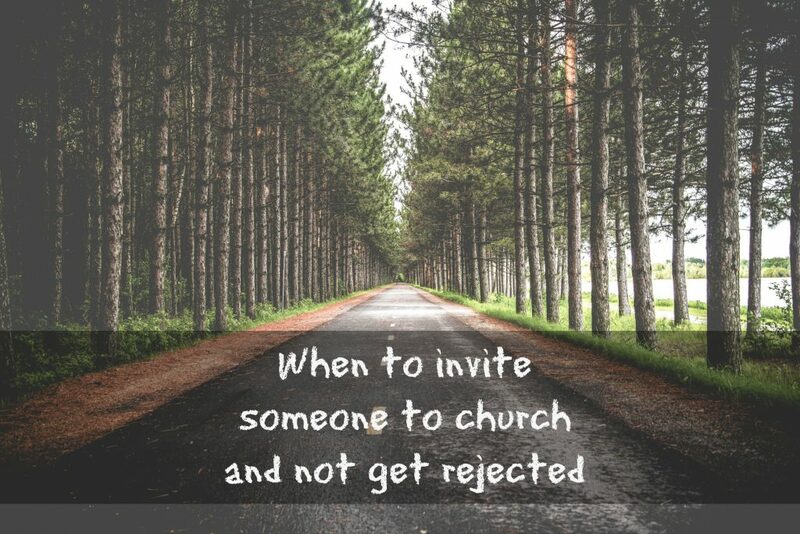 The timing of your church invitation just doesn’t resonate with them. How can you increase the likelihood that your friend will say Yes and come to your church? When are invitations to church received? There are certain times when people are more open to responding to a church invite than other times in their life. The best invitations to church will come from family and friends, but you might run into a complete stranger and still invite them to your church. When all is well and life is smooth, there is little perceived need. But when great changes come, there is a greater openness to receiving an invitation to church. Death of a loved one. Many of these events upset the routines of our life and there is often a greater openness to establish a new pattern of attending church. In the last three church plants I have been involved with, moving to a new city was the biggest context we saw where invitations to church were most accepted and new patterns of church attendance were formed. To read further on church invitations, consider this series. that guest establishing new patterns of church going in their life. I recently caught a podcast from Andy Stanley about developing a habit of inviting people to church. He interviewed Charles Duhigg, the author of The Power of Habit: Why We Do What We Do in Life and Business. Then the conversation turns towards keystone habits. What is a keystone habit? Some habits have the power to start a chain reaction, changing other habits as they move through an organization. Some habits, in other words, matter more than others in remaking businesses and lives. These are “keystone habits,” and they can influence how people work, eat, play, live, spend, and communicate. Keystone habits start a process that, over time, transforms everything. Duhigg, Charles (2012-02-28). The Power of Habit: Why We Do What We Do in Life and Business (Kindle Locations 1596-1598). For Northpoint Ministries, the keystone habit is that each member will invite a person to church. Their staff worked on looking for the conversational cues that would trigger the member’s invitation. The reward would be seeing that guest at church on Sunday. What are you to listen for? What might be a verbal cue that would suggest it’s time to invite that person to church? 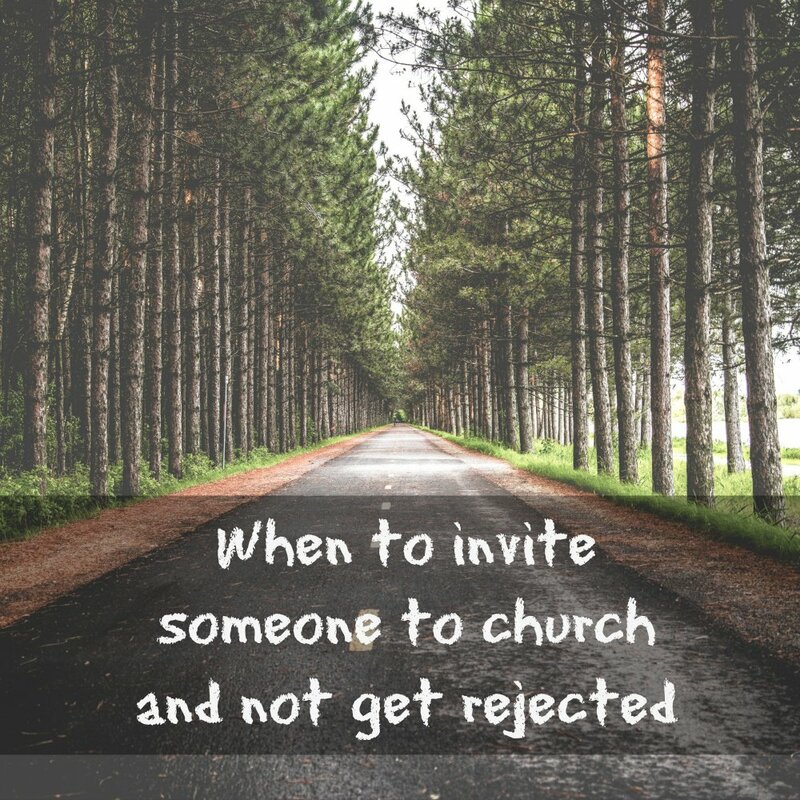 What might be the clue that will allow you to invite someone to church and not get rejected? Each phrase may indicate an openness or willingness to attend church to hear the good news of Jesus. Each of these “nots” indicate that the circumstances of life are such that it might be possible that they person is willing to make changes and start attending your church. As a staff, they looked for these conversational openings to discover that they work and indeed they did. They have chosen to work these “nots” into the fabric of their church. This week, listen for one of the three “nots,” even if you are chatting with a complete stranger. When you hear one, invite that person to your church for the weekend. Are Church Welcome Packets a good idea? by the grace of God, your few notes here has given me a relief on something I have been looking forward to for some time now. may the Lord almighty establish this source for more helping tips on evangelism.